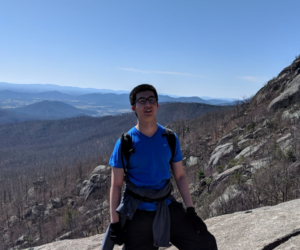 In his research, Kaiqun Fu uses spatial data mining, urban computing, and machine learning to infer crime rates/types from street view images, roadway networks, and criminal records. Applying deep learning methods also uncover hidden safety-related patterns from the physical appearance of street blocks that help address urban safety issues. Fu has also worked with the District Department of Transportation (DDOT) on a research project applying social media analysis to intelligent transportation systems. Fu has presented two coauthored papers on the research for DDOT: “Steds: Social Media Based Transportation Event Detection with Text Summarization,” at the IEEE International Conference on Intelligent Transportation Systems (ITS); and “Social media data analysis for traffic incident detection and management” at the Transportation Research Board (TRB) conference, both in 2015. Fu holds a master’s degree in computer science from Virginia Tech and is projected to graduate with a Ph.D. in computer science in 2019.